can support the Annual Horse Show & Country Fair. Remember a special pet or equine friend – Recognize your farm or family. Trees are planted along the main entrance to the show grounds. Your $500 donation allows your plaque to be displayed in perpetuity. These beautiful cedar cabinets are set on footers at the in-gate entrance to all 3 rings. 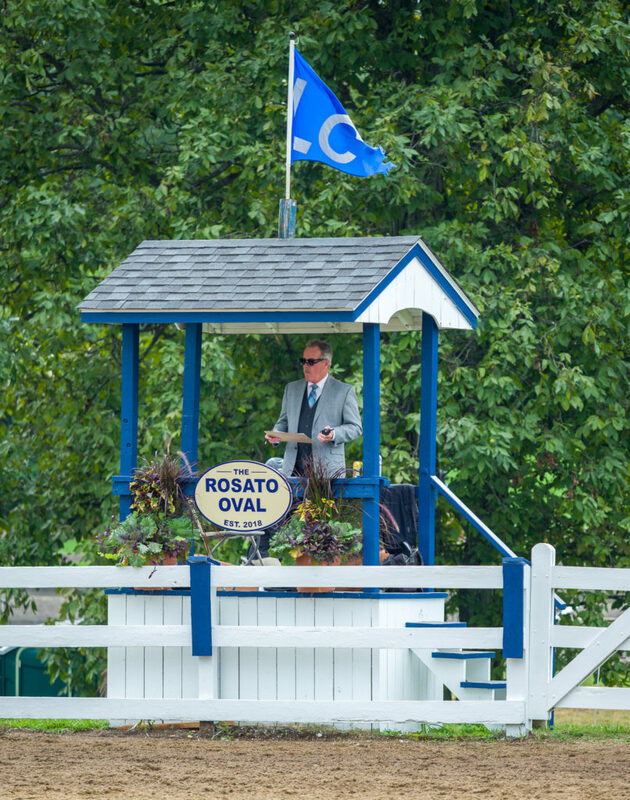 They hold course diagrams and information used at all the horse shows on our grounds. 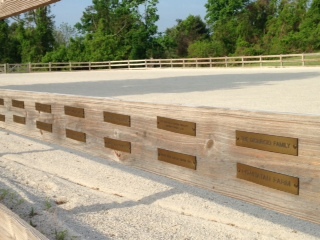 A great idea as a group gift from a barn recognizing your trainer(s) or all those special horses & ponies at your barn. Includes a glass case and 4.6” x 6” plaque. Your $2000 donation allows your plaque to be displayed for 5 years. Permanent mounting blocks made of beautiful layered field stone with 3 steps. Includes a 4.6” x 6” plaque. Or – develop your own idea on a commemorative item to beautify & improve the grounds. Our Sponsor Committee would be happy to work with you.